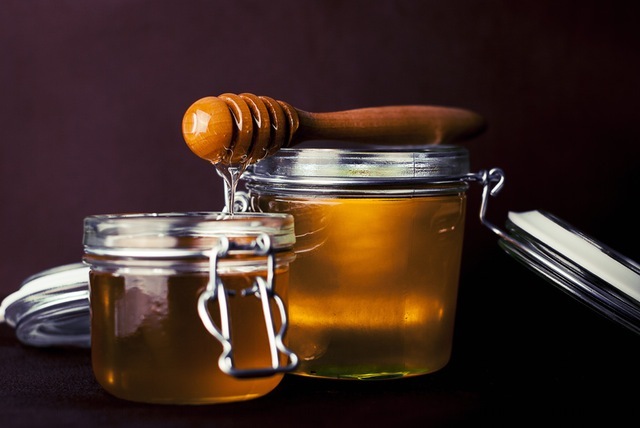 Share the post "7 Healthy Reasons to Always Stock Honey"
Here is an all-natural cure for the pesky cough. Even the most persistent cough can be cured with two teaspoons of raw honey while honey mixed with hot water can help reduce soreness and throat irritation. 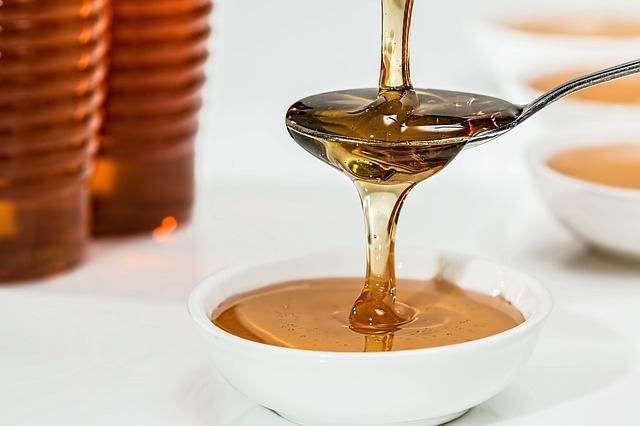 The thick consistency of honey coats the throat forming a protective film and the sweet taste triggers that nerve endings that protects the throat from cough. In fact because of these properties, honey can also be used to treat upper respiratory tract infections. Honey is a natural antibiotic, antifungal and antioxidant that can be taken both internally and externally. Research has shown that wounds or burns on which a coat of honey is applied directly heal faster than others. Honey’s antioxidant and anti-bacterial properties are particularly effective in giving you beautiful skin. Applying honey on your skin nourishes it and moisturizes it, leaving it soft and supple. Honey leaves a film on the skin, sealing in water and increasing the moisture content. In fact people also use it as a body wash; to kill bacteria and treat dry skin. On the other hand, consuming honey either with a drink or food, is a great way to detox the body, giving you healthier insides and your skin a gorgeous glow! Honey is an excellent source of energy with just 17 grams of carbs per tablespoon. The fructose and glucose in honey directly enter the blood stream, giving you an instant energy boost. It’s this instant boost along with a horde of natural nutrients in honey that makes it a great workout fuel. In fact ancient Olympic athletes would eat honey and dried figs to enhance their performance. Even modern research recommends adding honey to your bottle of water during workouts and eating honey laden snacks immediately after workout. Honey can help you get rid of those unending sleepless nights, that too happily. Like sugar, having honey leads to a rise in insulin and releases serotonin which improves mood and happiness. The body then converts this serotonin into melatonin, basically inducing you to sleep. Between all this biology and chemistry, the bottom line is having honey makes you happy and sleepy! Win –win isn’t it? Honey can be used to condition and highlight your hair. Honey has nutrients and enzymes that give hair a healthy shine while strengthening follicles and also treating dandruff. And it’s a great way to naturally lighten hair too. Just dilute with water and let your hair soak it. You will be amazed with the results! Honey is not just a great source of vitamins, nutrients, calcium, zinc and other minerals but it is also a great way to get rid of some calories. To begin with there is the obvious benefit of substituting sugar with honey. That way you enjoy the delicacies minus the calories. Then there is the fact that honey boosts your energy and keeps you full, so that you won’t binge on unhealthy snacks after a hard workout. And lastly, there is the almost magical honey mixed with warm water concoction. People swear by the benefits of having a glassful of warm water with honey first thing in the morning, one of the many benefits being weight loss and reduced fat around the tummy.